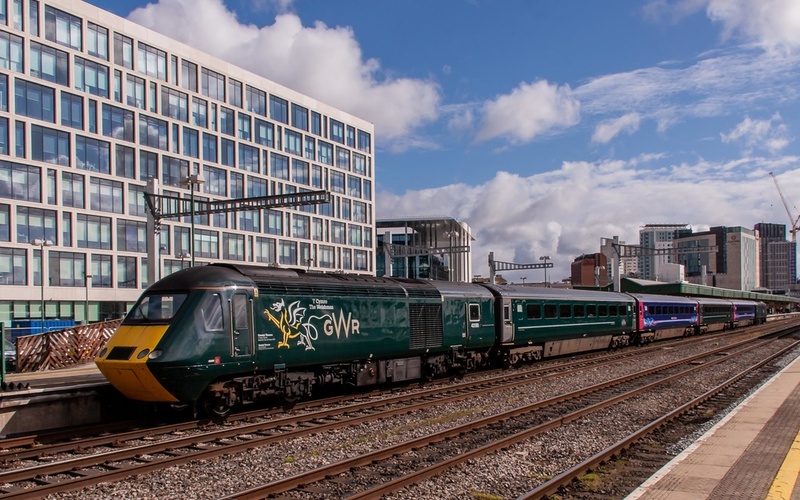 GWR 43 43188 Cardiff Central Railway Station Cardiff Central Ra.. The train has been formed up as a new 2+4 Castle Set. You will not that two re-branded GWR coaches and two FGW coaches are used and none have the plug sliding doors which when in their correct formation will have.